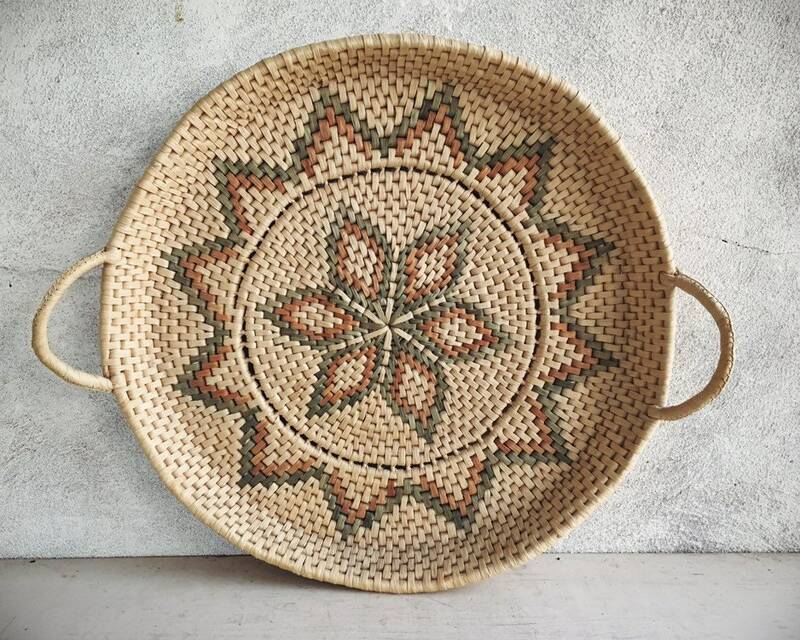 This raffia basket is lovely for the simple earthy colors yet it's special for the platter shaped design with handles. 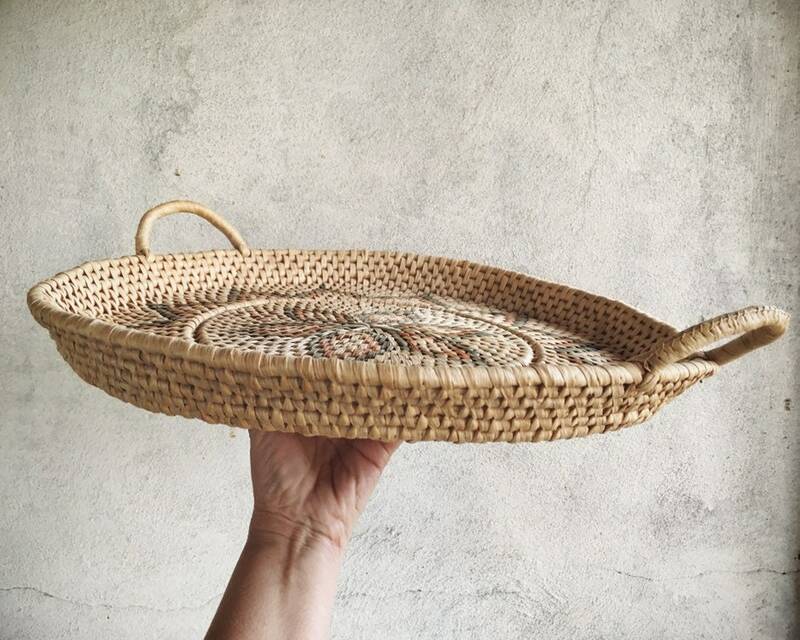 Which makes it perfect for any gathering, for serving something dry--maybe cut bread or for holding wrapped cutlery--or displaying something with a seasonal flavor. 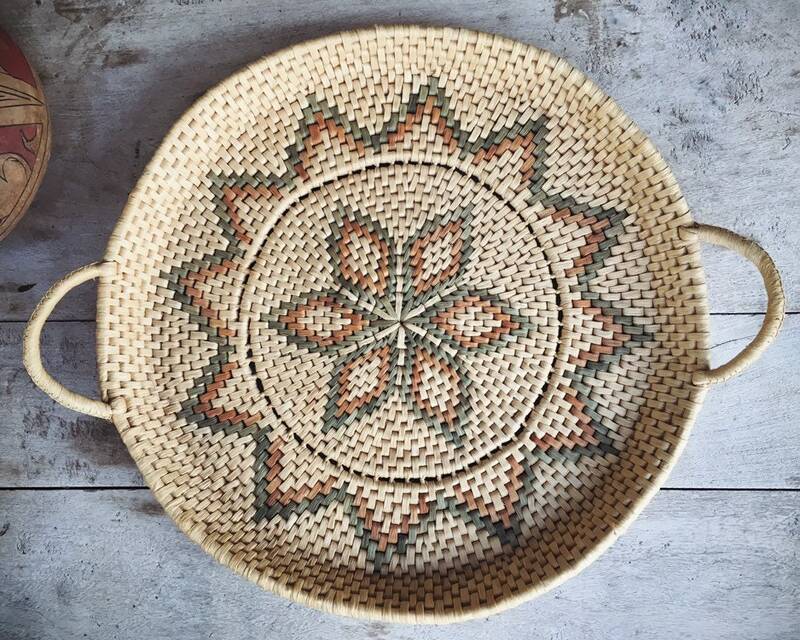 Of course, this shape can add visual variety to a gallery wall of baskets. 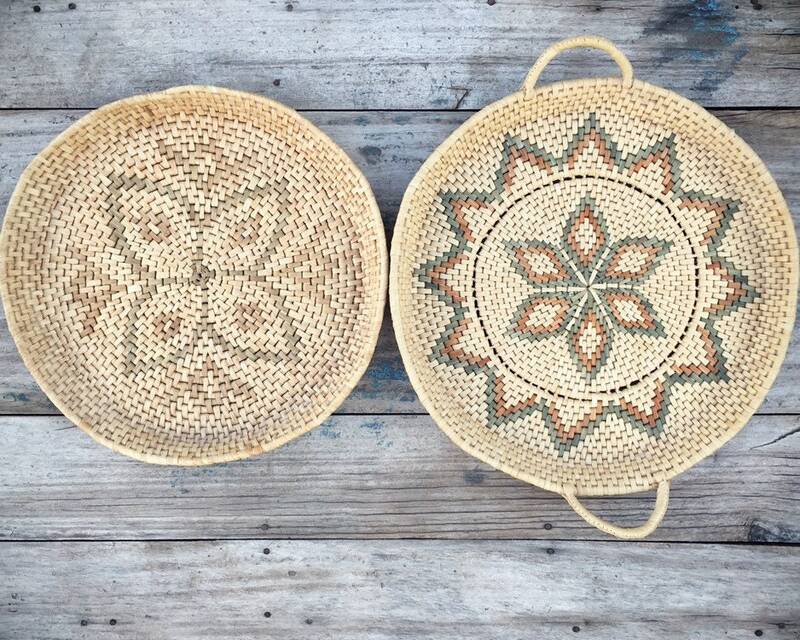 The hand woven coils are thick and the center flower or sunburst design gives it a Southwestern flair. The colors don't show well in the photos but are faded tan and green. 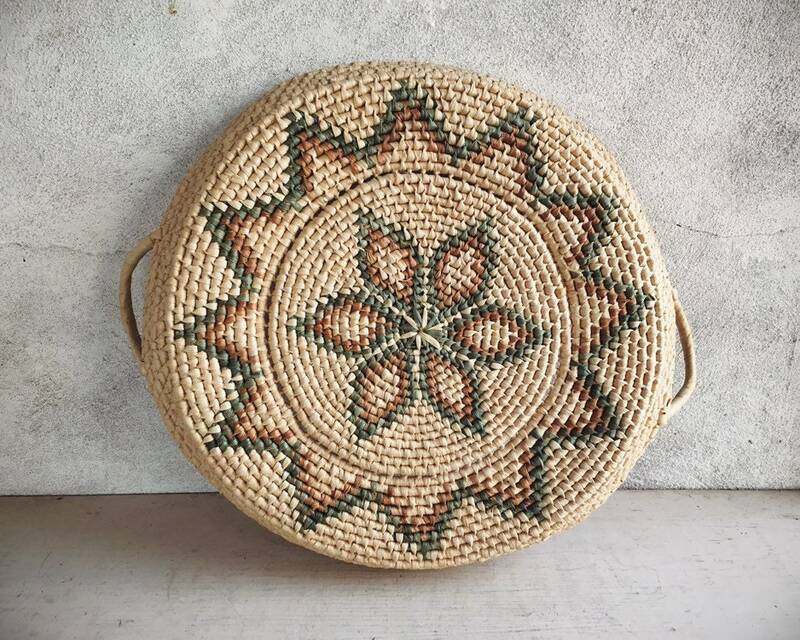 Do be aware that the basket is not new and is no longer perfectly symmetrical. Measures about 16-1/2" in diameter and slightly more with the handles. 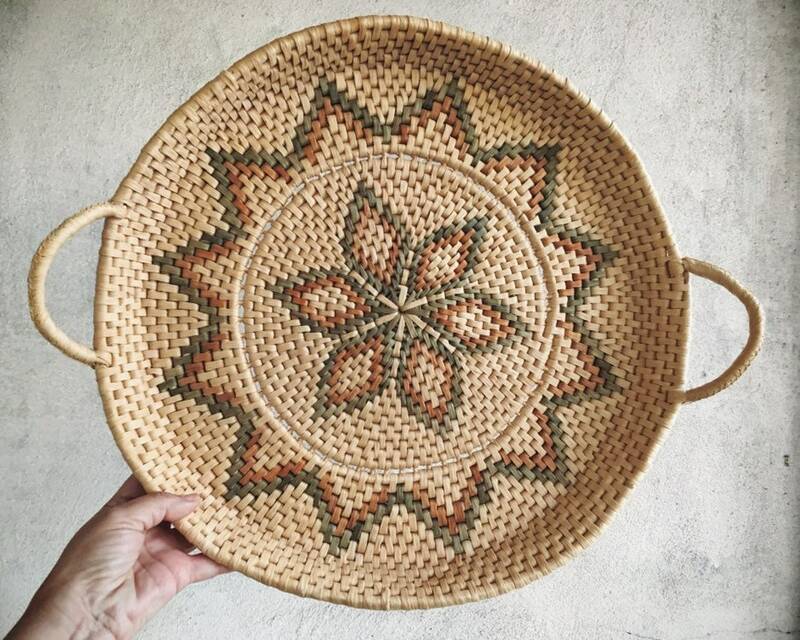 Some of the straw has broken along the edges but nothing that draws form the natural beauty. Weighs a little less than one pound unpacked.